Re-designed iOS App 2.0 Goes Live! Great news for those of you who use iPhone and iPad: A new version of the Teamup app for iPhone and iPad is now available on the App Store for download! Events displayed in white text on solid color-background. Sidebar on the left with the list of sub-calendars, access to the dashboard, refresh, settings and feedback. 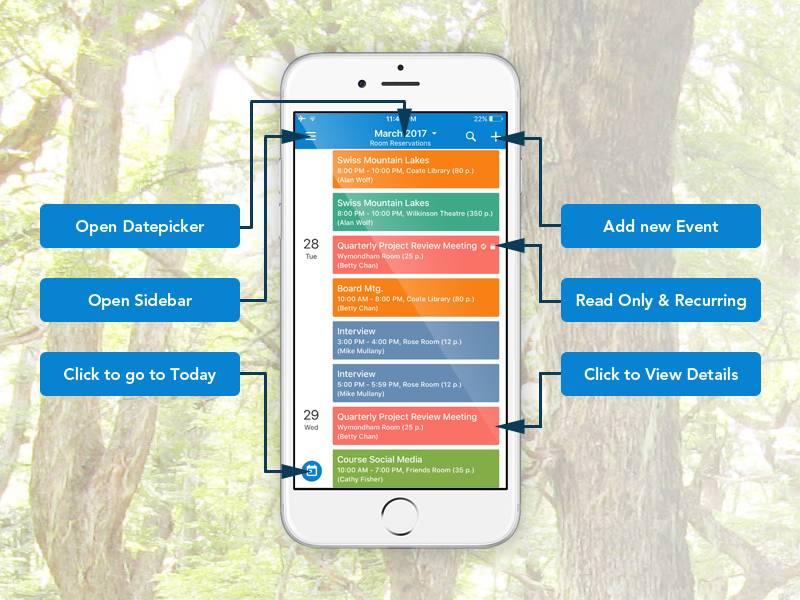 Dashboard option to open calendar link in the browser directly from the app. Many UI/UX and performance improvements such as improved date picker, event view and editor, date number, current time indicated by a blue line, etc. 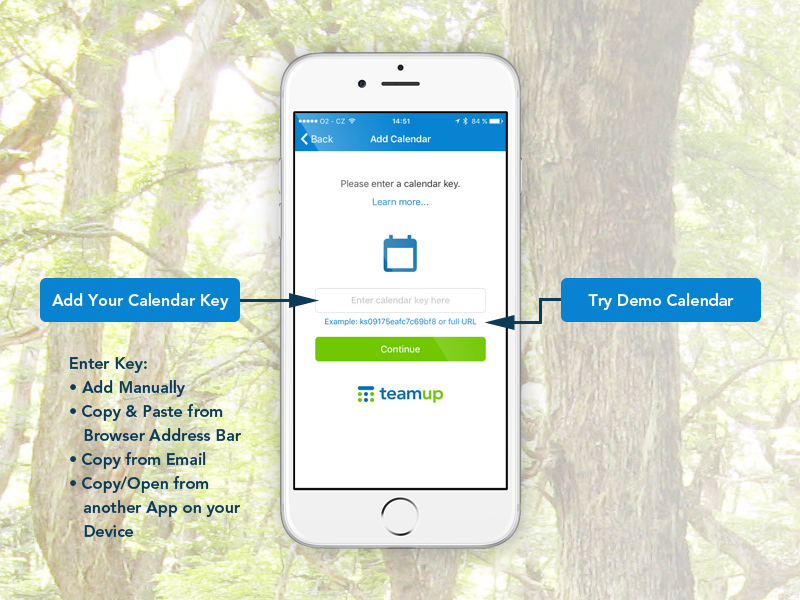 Getting started: Connect the app with your Teamup Calendar. Enter the whole calendar link or just the calendar key which is the part in your calendar link that starts with ks followed by 16-digit alpha-numeric characters. 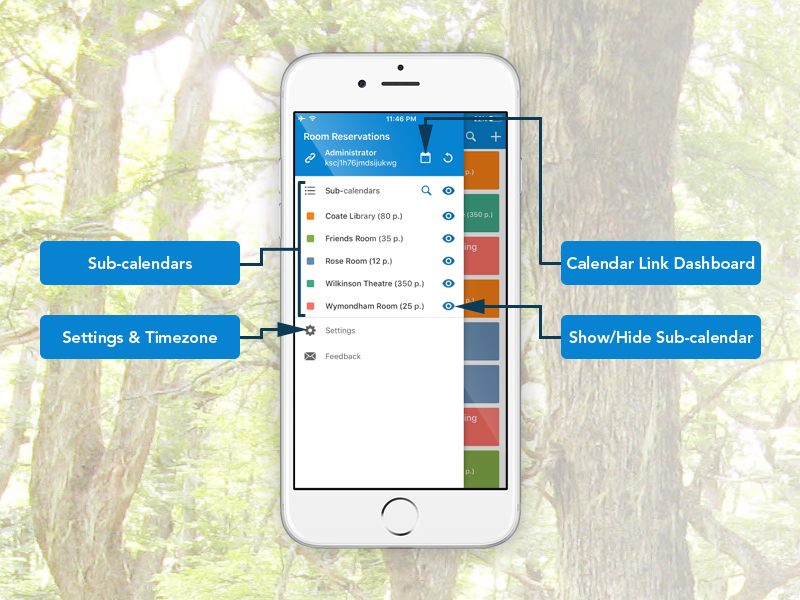 This is the dashboard of your calendar links, a unique feature of the app. 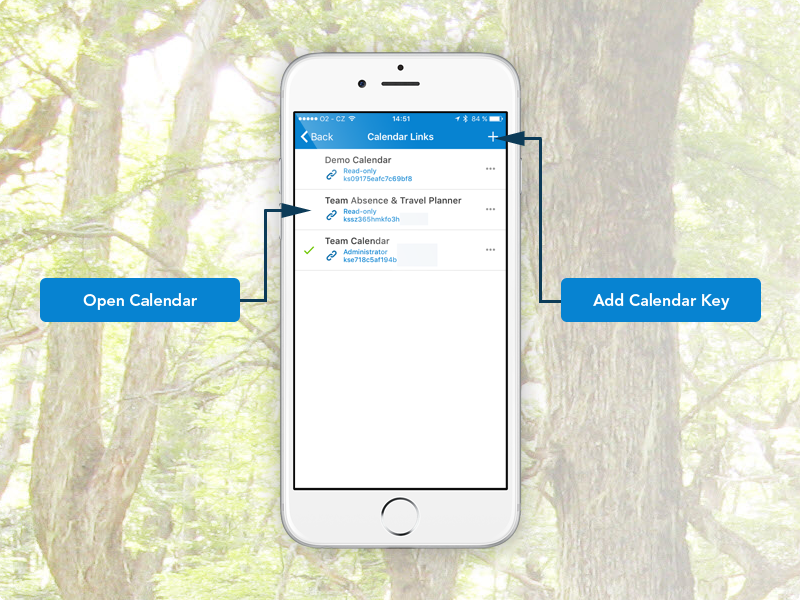 You can connect multiple calendars to your app, and switch between them by going to the dashboard via the sidebar. Your calendar in the agenda view. Click the date picker in the top to jump to another date. Tap the menu in the top left to open the sidebar. This is the new sidebar. To access these link options, click the 3 dots next to the link on your dashboard. Step 3: Click the three dots next to the link that you want to see in one of the grid views. 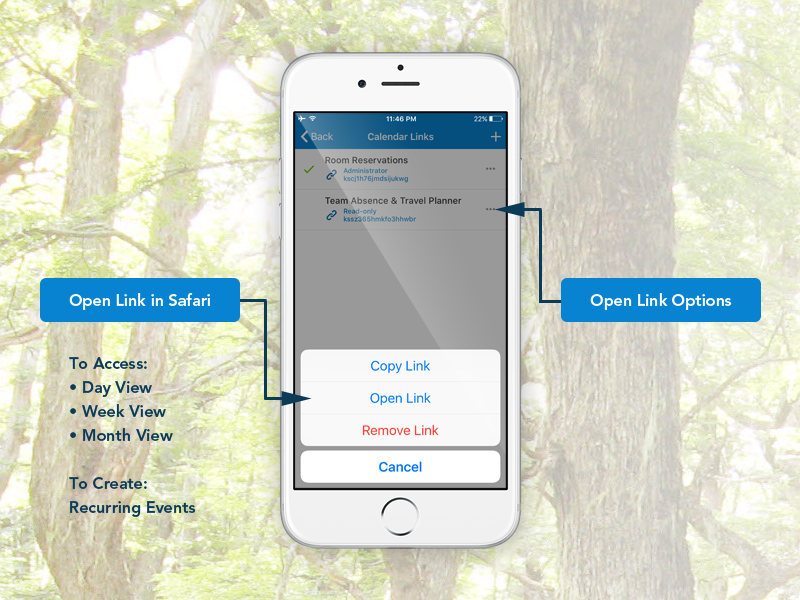 Step 4: Select Open Link. Now your calendar opens in your default browser, e.g. Safari. For iPhone users, it is recommended to turn your phone to the landscape mode to minimize the limit of the current browser version being not fully responsive on mobile devices. This approach could also help with those who need to create recurring events on the go as currently the apps are limited to edit existing recurring events only. Thanks for your patience!